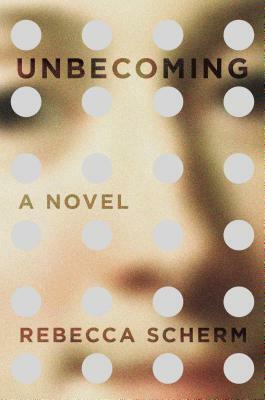 I saw Rebecca Scherm read at the Sackett Street Reading Series at BookCourt and promptly picked up her first novel, Unbecoming. It’s an absorbing read that, although it is literally about antique and jewelry heists, I was surprised to read described as a book about antique and jewelry heists. It is a book about Grace, the protagonist–the rest of it is just the plot. 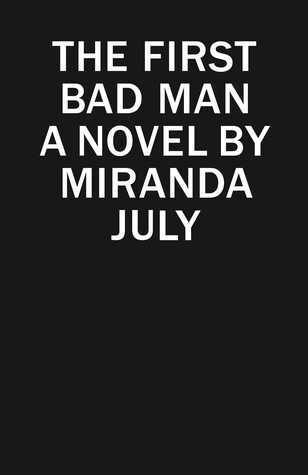 My friend and I got tickets to see Miranda July and Lena Dunham do an event together so long ago that we assumed the event was focused on Dunham’s book; we didn’t even realize July had a new one when we shelled out for our prime BAM seats. It wasn’t until we settled into said seats that we realized the format of the evening was that Lena Dunham was interviewing Miranda July about HER new novel, The First Bad Man. We were fine with this turn of events, of course; the only thing that would have made it better would have been if we’d had a chance to read July’s novel before hearing them talk about it. Since it had only come out that week, or maybe the one before, they were careful not to give too much away about it plot-wise, and instead talked about more process-oriented or big-picture concerns. It was a really fun, inspiring night and hilarious to watch the two real-life friends and their dynamic on stage. My favorite pull-quote from the night, which I don’t actually remember verbatim, was when July said that publishing a novel made her feel more vulnerable than performing on stage because there was no way to conceal how hard she tried with her novel. I immediately bought The First Bad Man and read it in the three days following the conversation. It is a dark, bizarre book. What I felt was brave about it was how willing July was to go to very unappealing places. Cheryl, the protagonist, is herself a bit unappealing but endearingly so. Her antagonist, Clee, though–oh boy. One of her prevailing characteristics–which does morph into a plot point–is that she has hygiene issues, and particularly smelly feet. The phrase that echoes in my head is “yeasty feet.” It is so great, though, that July is able to make these two particular people, each with their own host of repulsive qualities, three-dimensional and complicated, people that the reader cares about and–at least for me–wants to see prevail. I really don’t want to say anything about what happens in the book, but in general terms, it tackles violence and sexuality in a way that I’ve never read before and found extremely surprising. Besides that one horrifying phrase, the other aspect of the book that i keep returning to in my head is the very ending. July said that she was really proud of it, but I was unconvinced when I first read it. It seemed too short and vague to provide the payoff I was looking for and the emotional impact it seemed to be striving towards. As time has gone on, though, the fact that it stuck with me in a way that I can really picture, and feel, makes me think that she was right to end the book where and how she did. Read it and let me know what you think!